Lockdown is a new episode in the ongoing saga that started with The Captain Is Dead. This time, our intrepid crew find themselves prisoners on their own ship. Hostile aliens have taken control, and the crew must work together and remain hidden while attempting to regain control of the ship. 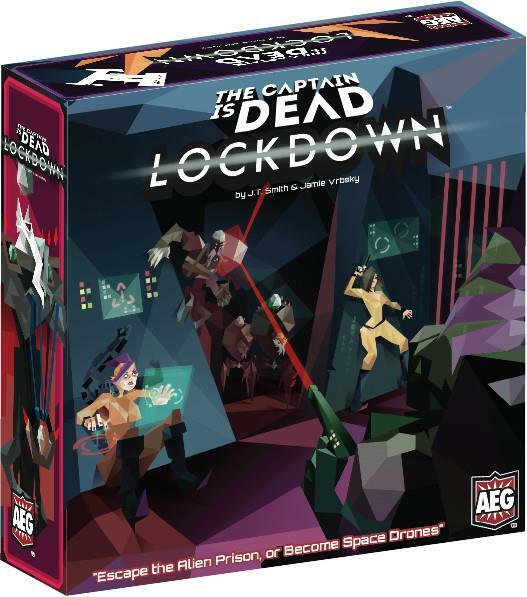 You need The Captain Is Dead base game to play Lockdown, which is a 1-7 player co-op game. Lockdown first appeared as "Episode 3" of the game when released by The Game Crafter, while Alderac Entertainment Group will release this expansion as "Episode 2".